This past February, Jon Bunch (Sense Field, Further Seems Forever, Reason to Believe, etc) sadly passed away at age 45. A tribute show in his honor with a bunch of awesome bands went down in Santa Ana, CA this past March, and now an East Coast tribute is set to happen in Philly this June. It happens on June 25 at the TLA, and like at the Santa Ana tribute, it will feature Sense Field playing a handful of guest vocalists. This one will have Garrett Klahn (Texas is the Reason), Ari Katz (Lifetime), Richie Birkenhead (Into Another, Underdog), Jeff Caudill (Gameface), Popeye (Farside), Fred Masherino (Taking Back Sunday, Breaking Pangaea), and Kenny Vasoli (The Starting Line). It will also feature Further Seems Forever (who are currently touring with How to Start a Fire vocalist Jason Gleason) and another Jon Bunch band War Generation (with guest vocalist Johnny Owens of The Vacant Andys), which makes this show the first time three of Jon’s bands will perform at the same show. Also on the bill is Texas is the Reason doing an acoustic set, a full band Dave Smalley set (performing songs from Dag Nasty, ALL and Down By Law), Vision, Second Letter, and Running From Dharma. 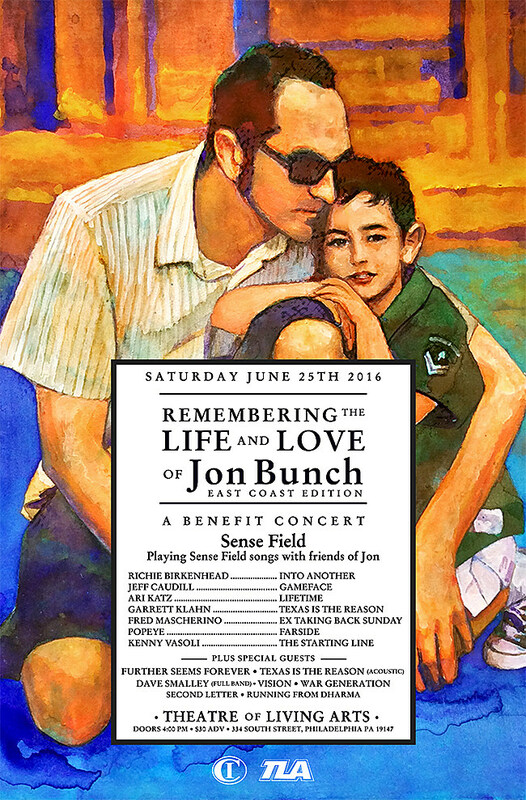 Tickets are on sale now, and proceeds will benefit Jon Bunch’s family.